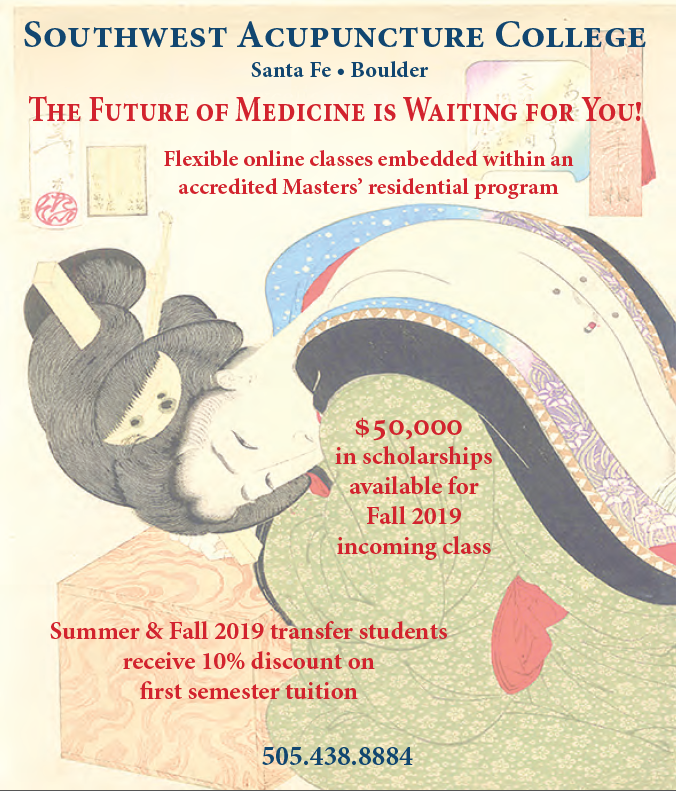 Southwest Acupuncture College is a classical school of Oriental medicine offering accredited degree programs leading to a Master of Science in Oriental Medicine (M.S.O.M.) or a Master of Science in Acupuncture (M.S.Ac.) Our educational philosophy maintains that teaching is best accomplished by doing. Therefore the curriculum is centered on a hands-on and clinical approach to education. The College maintains campuses in Santa Fe, New Mexico and Boulder, Colorado. With the primary responsibility of preparing students to become independent healthcare providers, our foremost goal is to provide an excellent education to prospective practitioners of Oriental medicine.